Well, here we are. It's our final month and we're a mere two weeks to finishing up 2016. Gosh, that's just mind boggling isn't it? I feel like this year went by so slow in the moment but looking back it really just flew by. Personally it was one of the hardest years of my life, and so much has happened in the world that has and will change so much. I think what's important right now is to enjoy the time we have with our loved ones in this season and continue to make cherished memories that we can hold onto, especially when things may look so dark. Traditionally, this is a time for people to buy presents and prep for their gatherings that will take place this holiday season. It's also a time to celebrate the love you have for others, the friendships you have, and honor those who are so dear to you in your life. Even if you don't celebrate any holidays that take place this month, it's still such a cheery time to enjoy the lights, baking, and everybody's favorite movies (I'm quite upset that I have yet to watch Elf or The Holiday as I've been so busy!). It's been a wonderful couple of months with MINTD Box but alas, here is our last box of the year. 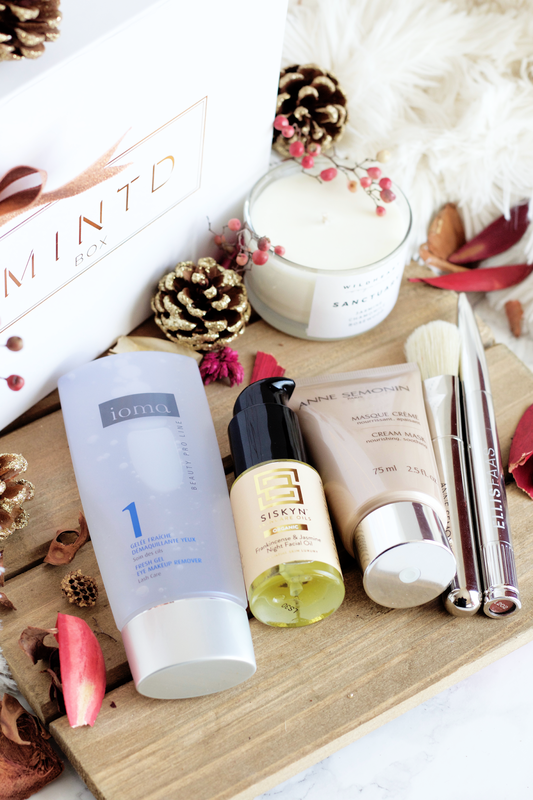 Last month's box (review here) revolved around Winter skincare hydration, and this follows a similar theme. 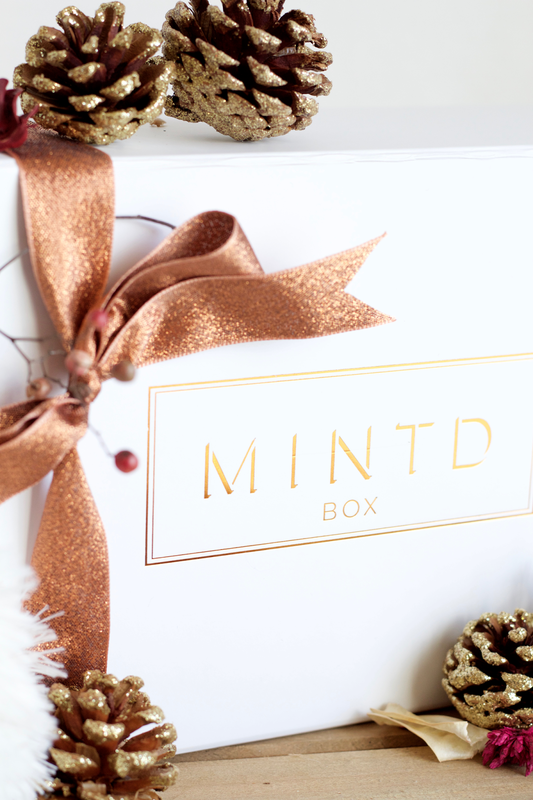 MINTD's December 2016 box is themed The Christmas Edit*, with 5 full sized and 1 travel sized products to ensure you're prepared for parties and given a pampering session throughout the holiday season. The products are revolved around hydrating, plumping, and overall giving you a pampering experience. 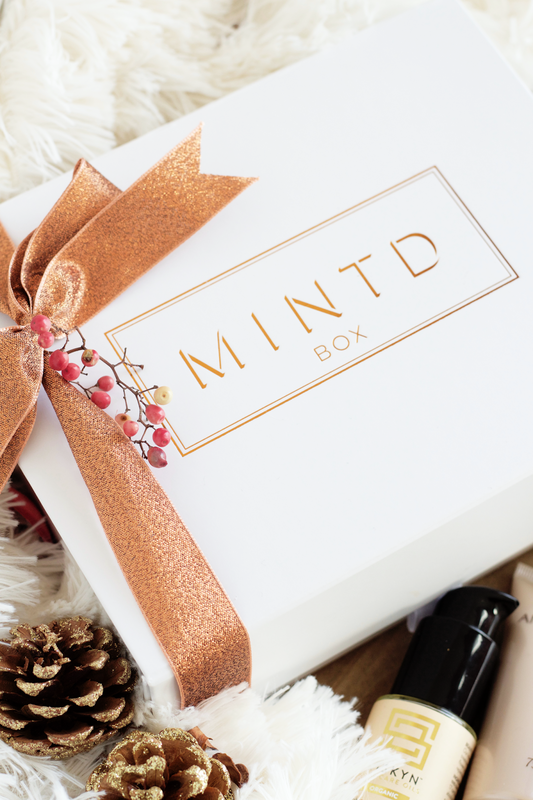 If you don't know who MINTD Box are, they are a UK luxury monthly/bi-monthly subscription box service that offers only the highest quality luxury brands at value price with full sized products in every box. The concept is that you are getting more than what you are putting into it money-wise, while also trying out products from a variety of luxury brands from trusted retailers and ones currently globally on trend. They feature high end products from stores like Harrods, Space NK, Selfridges, Sephora, and more. I have four posts about their boxes from November (here), October (here), September (here), and August (here). You can read more in-depth about them in my August post. This box retails for over £175/$217.75 but you only will need to pay the price of £65/$80.88, giving you a savings of £110/$136.87. You also can take 10% off your first box with a non-affiliated code: 10FF1ST. MINTD Box offers monthly/bi-monthly plans. They ship to the UK, W. Europe, N. America, Australia, and New Zealand. As I've pointed out before, this is not a cheap subscription box. It's a very personal decision where we choose to spend our hard earned money, and it's understandable if this sub is out of people's budget. Consumerism is more and more important to understand, and what businesses we choose to support should always be at the forefront of our minds. Overall, the presentation and hard work put into MINTD truly shows, and the numerous new brands I've fallen in love with through their curations have been so outstanding. I've gushed about them with every post I've done and they truly are a sub that deserves high praise. If you've been following my MINTD unboxing posts, then you'll remember that Wildheart Organics was a brand featured in October's Essential Beauty Sleep Kit box. I absolutely loved the Tranquil aromatherapy candle and have been wanting to get it ever since I used it up. 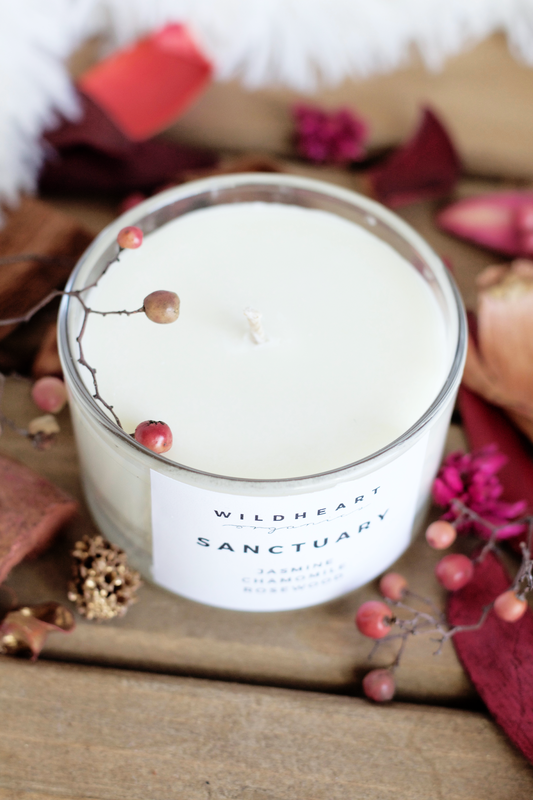 Unfortunately Wildheart Organics doesn't ship international but they do have a stockist (Sulis & Thermae) that has a very small assortment of their full-sized candles. If you are not familiar with the UK brand, they are a candle and home fragrance company that uses organic and natural essential oils to create luxurious treatment products with the ultimate therapeutic benefits. Founder Emma Hoult uses 100% essentials oils in her products to enhance and improve your mood and wellbeing. They hand-make their products at their barn in Edinburgh, Scotland. Their aromatherapy candles are made with natural plant ingredients and they do not test on animals. 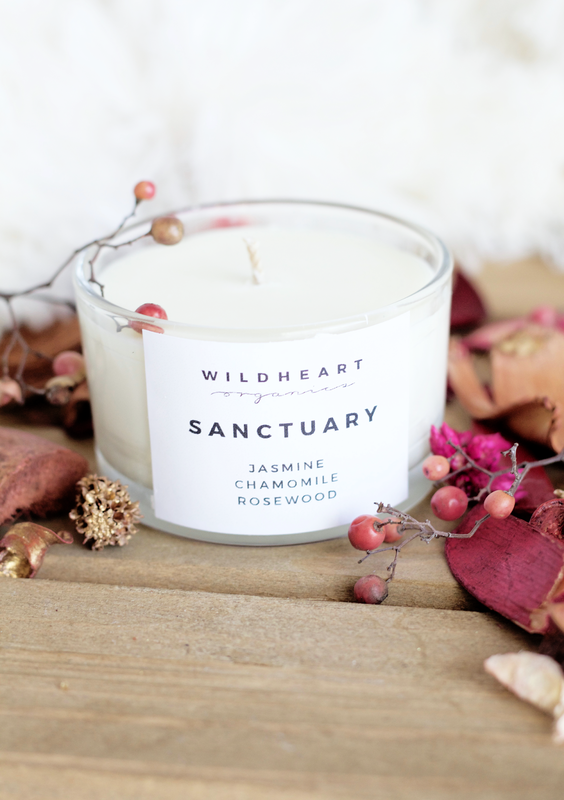 Their Sanctuary aromatherapy candle is part of their Stress Relief series, with a lush blend of jasmine, chamomile, floral geranium, rosewood, and patchouli. This aromatherapy candle promotes anxiety relief and stress relief with its calming and soothing essential oils. In similarity to Tranquil, this also works very well to release tension. The patchouli adds a spark to the otherwise light fragrance and I think that was a nice addition. I've really enjoyed using this in the mornings when I'm just starting my day and getting into doing some work. I do prefer Tranquil over this but Sanctuary is a nice, light fragranced candle that I think many would enjoy. I really like this candle but something just feels kind of off about it? I'm all for anything that can help me relieve stress, that's not the problem I have with the candle at all. It's beautifully made, no doubt about it. I really think for the theme of the box that other candles they have would have been better maybe, like their Christmas Peace (literally described as "Christmas in a jar") or Winter candles. Christmas Peace is a blend of mandarin, clove, cinnamon, cedarwood, and juniper berry, the ultimate Christmas-y fragrance. Winter is a forest-y scent with white pine, mint, and cedarwood, made for helping your mental wellbeing, calming your mood, and reducing anxiety. Winter especially I think would be a great pick, as S.A.D. is something that affects so many people at this time and anything that could help with moods and mental wellbeing would be so beneficial. For those who are unaware, S.A.D. (seasonal affective disorder) is a type of depression that occurs during specific parts of the year, usually during these later months. Many people equate S.A.D. for being "winter blues" but that's an ignorance society has adopted with the stigma attached to mental illness. It's not just "winter blues" as symptoms should be taken with the utmost seriousness, they can be mild or severe and shouldn't be left untreated. It can deeply affect your life on all aspects. Here is more information on S.A.D., if you think you or someone you know may suffer from it then definitely try to get some help. I really think this Sanctuary candle is beautiful but I'd love to see a fragrance like this in a future box for Spring, it would definitely fit a lot better then with its lighter scent. I'd also love to see bigger sizes, I go through these candles soooooo quickly! The bigger sizes would be really lovely but I could see how the weight might be a problem shipping-wise. Another item featured in October's Essential Beauty Sleep Kit was Siskyn's Organic Camellia & Safflower Hot Cloth Cleansing Oil, a product that truly is the epitome of luxury and a lush cleansing oil. I really love using it when my skin is very dry, and I was looking forward to trying another product from them. 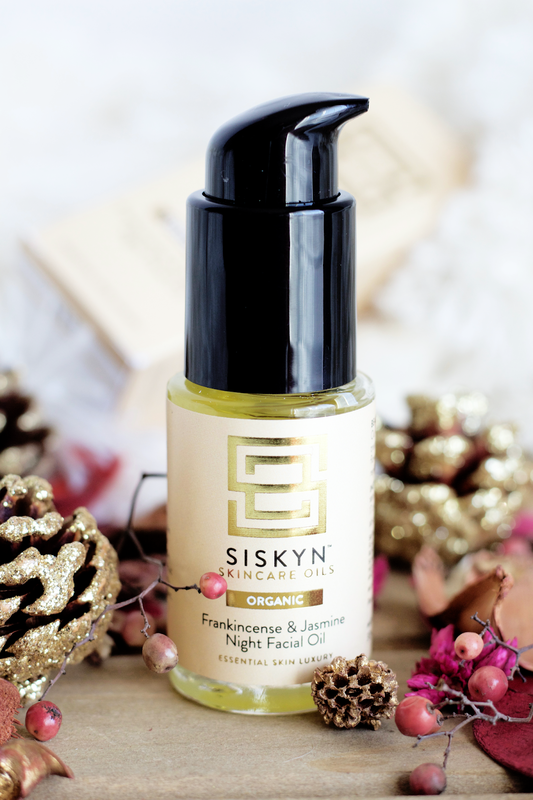 If you are not familiar with Siskyn Skincare Oils, they are a UK luxury skincare brand created by two sisters that focuses on using highly effective and 100% natural, vegan ingredients (not even water is included). 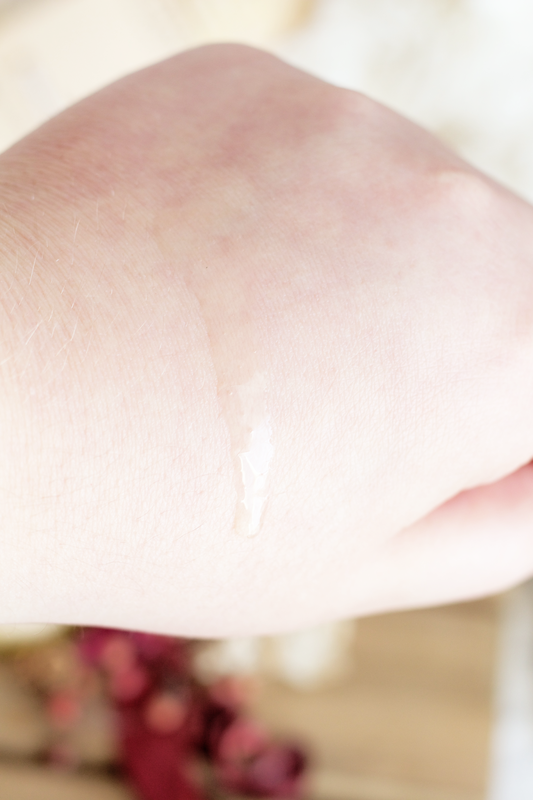 Their oils have no synthetics, derivatives, fillers, artificial preservatives or fragrances, silicones, parabens, dyes, petrochemicals, or added preservatives (you can see their ingredient list and breakdown here). Their stance has always been to create true and pure botanical oil sourced products. I've really been impressed with their authenticity as a brand. Organic Frankincense & Jasmine Night Facial Oil is a nourishing night oil that hydrates, repairs, and rejuvenates skin. It is an overnight facial oil that combines a blend of 17 certified organic botanical oils that work as an intensive treatment for your skin. 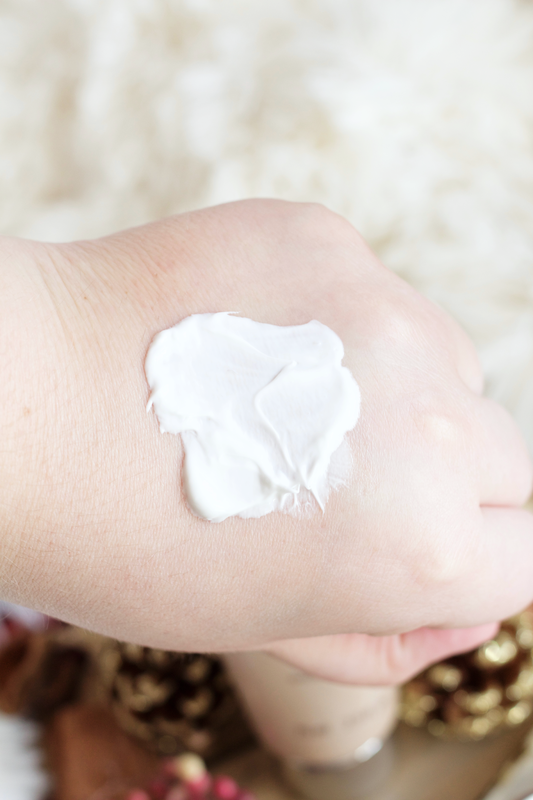 This includes ingredients like Rosehip (antioxidant that helps with hyperpigmentation), Camellia (helps maintain acid balance of skin, rich in Omegas), Evening Primrose (anti-inflammatory, calming, and anti-irritation), and Frankincense (astringent and skin boosting properties for cell renewal). This facial oil has a high content of linoleic acid, which may work especially well for those who suffer from acne. It's been studied that there is decreased linoleic acid in skin surface lipids of those with acne. Low linoleic acid content also impairs the epidermal barrier function, it allows increased permeability of inflammatory substances to the comedonal wall. Therefore it might be good to use some products that have high linoleic acid content. Due to how heavy this night oil is and how slow it takes to absorb, I really am picky when I want to use this. With my usage, I have not seen any real significant difference with my acne that I can account to this oil. It's very rich and you only need about one pump or so for the whole face, which means this will last me for quite a long while. I have not seen any brightening or other benefits besides hydration, I'm hoping with longer usage I will see more results. I don't think my skin does well with the mixture of heavier oils in this, as no matter if I used less or blotted some off that wouldn't absorb all the way, I still would wake up on the oily side. This does fit well in my overall routine as I follow the thin to thicker method, but I just can't mesh with the heavier feeling. I feel like the cleansing oil's heaviness was workable since I was able to wash it off afterwards, while this stays on. I'm not writing off this product just yet, I want to give it more time to see results and also how else I can apply it that feels best. I think I might save this oil for days when my skin needs a lot of hydration. I'm worried about it going bad since it has a 6 month expiration, so hopefully I will figure out the best way to use this. I think this would work especially well for those with drier or dehydrated skin types. Ingredients: Carthamus Tinctorius (Safflower) Seed Oil, Prunus Armeniaca (Apricot) Kernel Oil, Helianthus Annuus (Sunflower) Seed Oil, Linum Usitatissimum (Flax) Seed Oil, Oenothera Biennis (Evening Primrose) Oil, Borago Officinalis (Borage) Seed Oil, Rosa Canina (Rosehip) Fruit Oil, Triticum Vulgare (Wheatgerm) Oil, Adansonia Digitata (Baobab) Seed Oil, Camellia Sinensis (Camellia) Leaf Oil, Calendula Officinalis (Calendula) Flower Oil, Santalum Album (Sandalwood), Jasminum Officinale (Jasmine) Flower extract, Helichrysum Angustifolium (Helichrysum) Oil, Boswellia Carterii (Frankincense) Oil, Citrus Medica Limonum (Lemon) Peel Oil, Pogostemon Cablin (﻿Patchouli) Oil, Benzyl Alcohol*, Eugenol*, Geraniol*, Farnesol*, Linalool*, Benzyl Benzoate*, Benzyl Cinnamate*, Limonene*, Citral* (* Naturally occurring in essential oils). May contain nut oil traces. 100% certified organic ingredients. IOMA's Expert Ritual Tabs were featured in MINTD's September box (review here) and I overall had a positive experience. 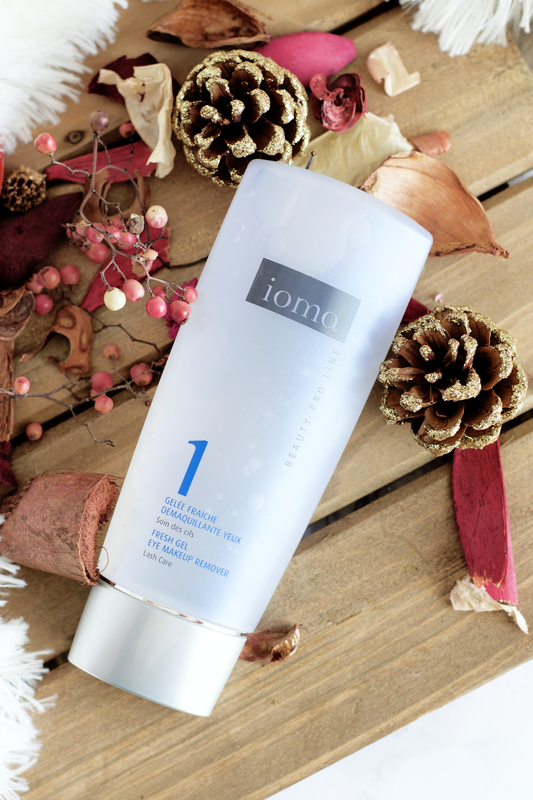 IOMA Paris is a French skincare brand that is scientific-based, using their own dedicated research and customer personalization to create high quality products. You can read more about the brand in my September post. Nowadays I use cleansing oils and balms as my first cleanse, so I rarely have a separate product like this. I'm also really careful what I put on my eyes because they are very sensitive and I suffered through a long time of using products that caused a lot of irritation. I wasn't looking forward to using this at all if I'm honest. But I did want to give it a chance, so I first started to apply this on a cotton pad and wiped it only on my eye lids and around my eyebrow area. It does a pretty good job at getting makeup off, and I like how cool the gel feels against my skin. I did use it a bit under my eye but really have yet to use it on my lashes or anywhere very close to my eye area. This supposedly works to increase volume and length of your lashes and strengthen them, so I guess I am missing out on the possibility of getting those benefits, but I'm not sure if I want to risk any irritation with how sensitive my eyes are. This is an 'okay' product to include in the box this month, it didn't impress me but it wasn't totally bad either. I think I would have liked to have seen follow up products like their Brightening Cosmetic Water or Brightening Moisturizing Serum, these really would have shown the strength in the scientific components of IOMA Paris and I would really love to test how that lives up to their name. As much as I have enjoyed Anne Semonin being featured in two MINTD boxes previously, I'm a bit Anne-Semonin'd-out. I've reviewed the other two products featured in the August (review here) and September boxes (review here). 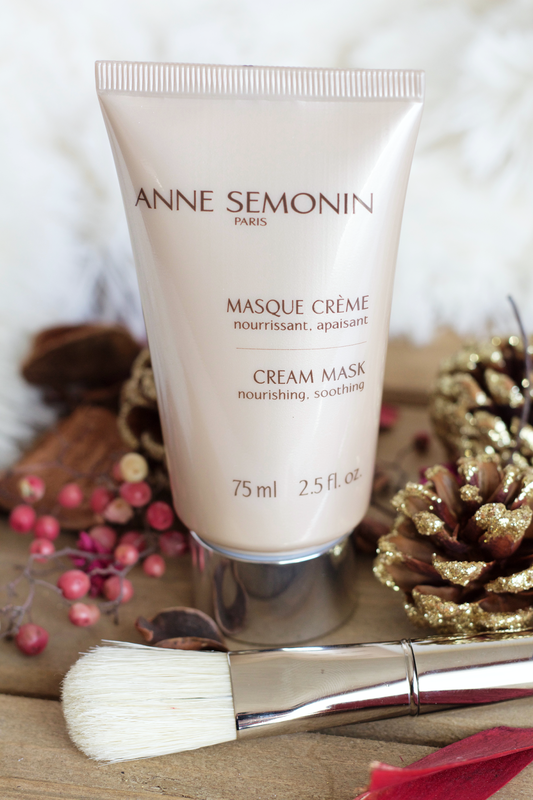 Anne Semonin is a luxury French skincare brand that focuses on using essential oils, minerals, and marine active ingredients to enhance skin's radiance and vitality, and reverse signs of aging. I'm going to make this review kind of short as I don't have much to say about these two products. These were a disappointment for me, there's really no easy way to put it. I did enjoy the Exfoliating Mask in the September box but I think my oily skin does not do well with cream masks, especially if they are on the thicker side. It's not only the consistency that I did not like but also how it felt, I really didn't like how it just 'sat' on my skin. I do think it hydrated my skin to an extent but I can't see myself using this much at all due to how uncomfortable it was to have on. The fragrance is pretty strong as well but it was honestly the only thing I liked about it. The mask brush is very irritating to my skin, even with adding water it didn't make it softer. It feels very dry and coarse, I can't imagine how people with dry or sensitive skin must feel when using it. Unfortunately these were both a miss for me but I'm hoping the next Anne Semonin product I try will be a better experience. I was pleasantly surprised to see a makeup product included in this month's box, especially a product from a brand I've never heard of before. I loved the Smith & Cult lip lacquer from the August box so I'm happy to see another lip product. After doing some research online, I feel like I've been living under some rock because it seems like everybody knows about this brand except for me?? Ellis Faas is a Dutch avant garde makeup artist who has her own makeup line, it's available in stores like Net-A-Porter, Beautylish, Selfridges, Dermstore, and more. Lisa Eldridge has reviewed her makeup, too. 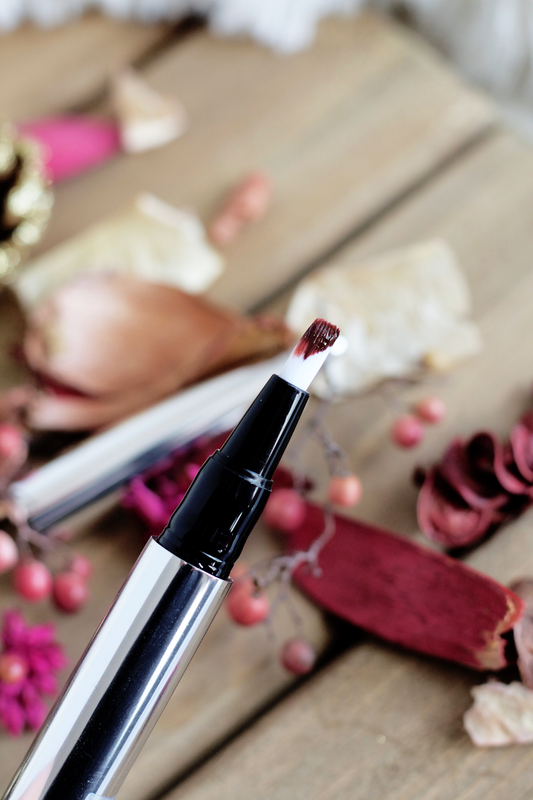 Milky Lips is a long-wear fluid lipstick that provides high pigmented color with a glossy finish. 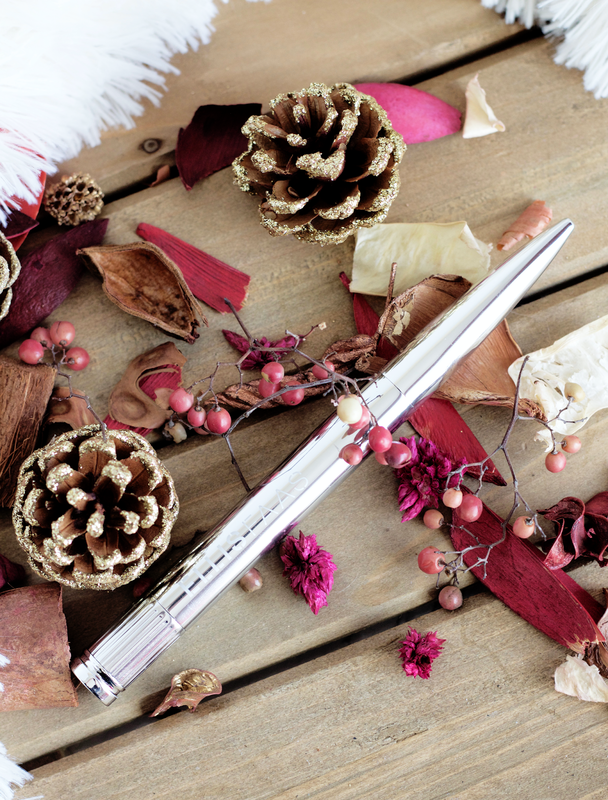 It has plumping actives that improve hydration and smooth your lips, with a light texture. 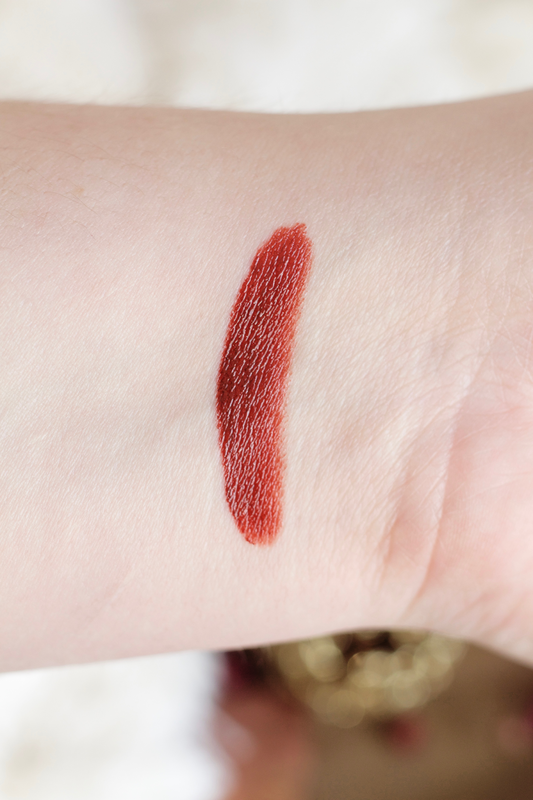 The color included in this month's box is L202 Dark Blood, which really does look like real blood. It's on the warm brown/red side, less 'Christmas red' than some might be expecting from it. I think maybe L201 Ellis Red would have been a better choice of color for the box, it's a real rich red. I know for my skin tone, L202 runs a bit too warm and brown for me to pull off, and possibly for darker skin tones it might work better. I did have some trouble getting the product to come out at first, it took at least like 20+ clicks? The applicator was easy to use and I didn't have any problems getting the product where I wanted it. It did apply a bit patchy, though. I think it also might be a problem if I wanted to take this with me in my bag, it's kind of long but the top is tightly secured so it won't come off easily. I kind of wish the color was the same as what was on the applicator, that darker color looks really pretty. Ellis Faas' aesthetic is really unique, from the bullet packaging, product artwork and imagery from the website, everything has a lot of detail in line with Faas' artistry. I'll have to look at more of her products. Ingredients: Hydrogenated Polydecene, Isododecane, Hydrogenated Styrene/Isoprene Copolymer, Dicalcium Phosphate, Hdi/Trimethylol Hexyllactone Crosspolymer, Disteardimonium Hectorite, Polyethylene, Propylene Carbonate, Octyldodecanol, Candelilla Cera, Prunus Domestica Seed Extract, Ethylhexyl Palmitate, Silica, Tribehenin, Tocopherol, Ascorbyl Palmitate, Sorbitan Isostearate, Pentaerythrityl Tetra-Di-T-Butyl Hydroxyhydrocinnamate, Palmitoyl Oligopeptide. +/- May Contain: Mica, CI 77891 (Titanium Dioxide), CI 77491/77492/77499 (Iron Oxides), CI 75470 (Carmine), Red 7, CI 15850 (Red 6/Red 7 Lake), CI 73360 (Red 30 Lake), CI 45410 (Red 28 Lake), CI 45380 (Red 22 Lake), CI 42090 (Blue 1 Lake), CI 19140 (Yellow 5 Lake), CI 15985 (Yellow 6 Lake). Well, like last month, this was not a favorite of mine. Seeing as this was the last box of the year, I was expecting to kind of 'go out with a bang.' This felt like a recycled brand box instead and it really didn't have that spark that I've loved so much from MINTD. I really think the repeated brands have been way too much. As I've said in my last post, 2017 is going to be a great new year and I'm really looking forward to seeing what new curations that MINTD will be including in their future boxes. They are such a hardworking, passionate team and truly put their all into what they do. I know that they will be doing their best to introduce fresh new brands to MINTD and doing their utmost to give you their highest quality possible. What have been your favorites from MINTD Box?